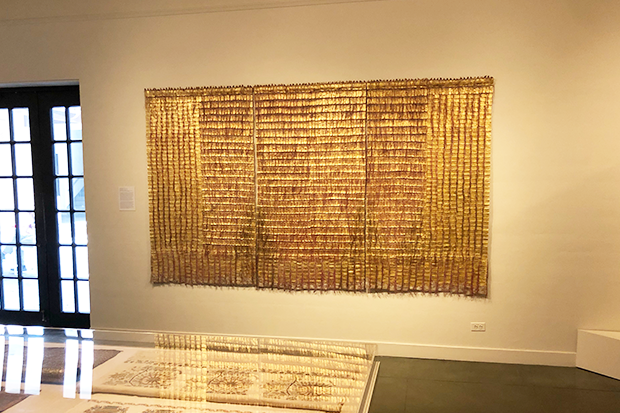 It’s hard to miss the large, shimmering gold tapestry by Olga de Amaral on display for the exhibition Golden Opportunities in the Textiles Gallery. From far away, your eyes can feast on the tapestry in its luxurious entirety. In the same alluring sense, it also demands a closer look. 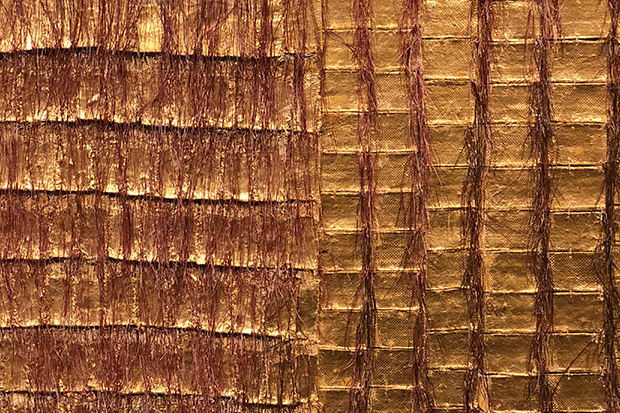 Step closer and your eyes can scan over the thin fibers and study each gold leaf. Golden Opportunities is on view until April 14. Text also written by textiles curator Sara Oka.